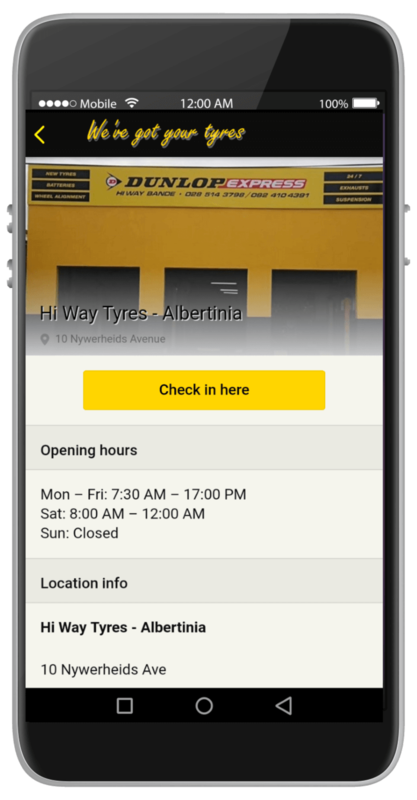 We've got your tyres ! - Ons het jou bande ! 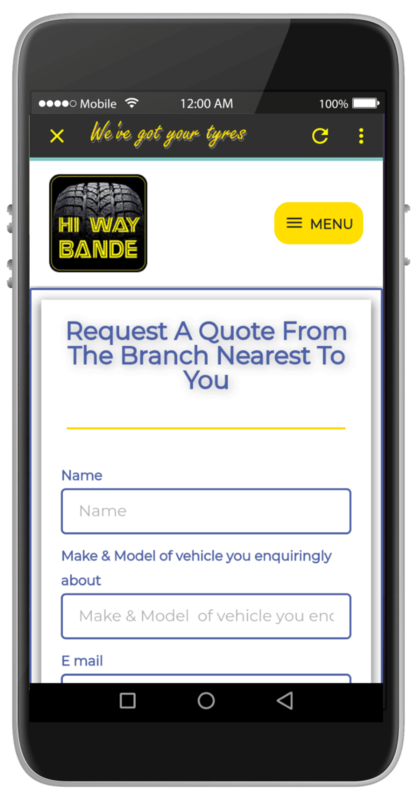 Download the FREE Hiway App and make sure you take advantage of all the “Deals & Specials” as well as having all the contact details of one of our branches near you. 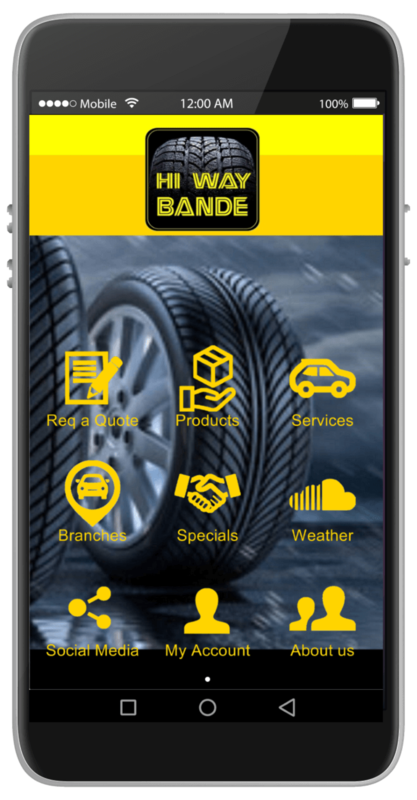 We have branches throughout the western cape.